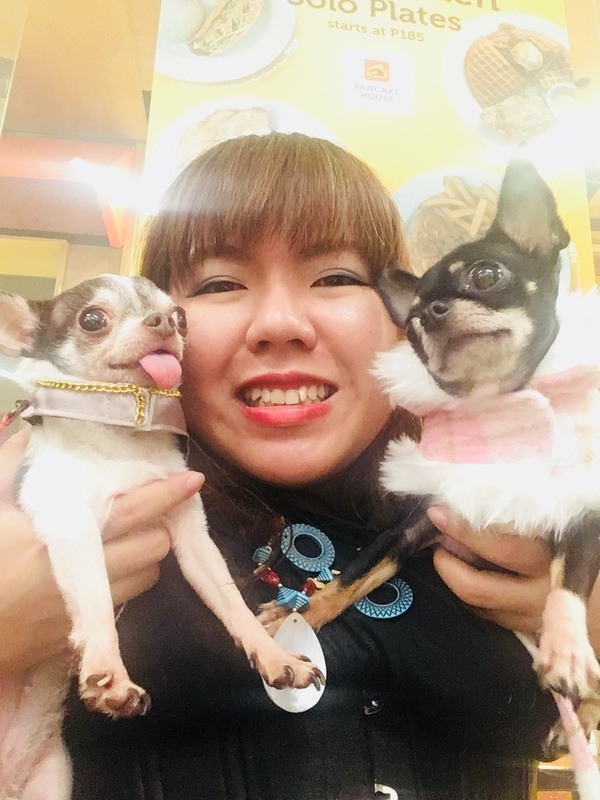 At first, I’m scared to join the pet event of Baby Moon Pawprints in Alabang Tow Center because I don’t know how to go there and what to expect. This was going to be the second time I’ll joining a big event. I told the person beside me that I wasn’t prepared and that time I thought that I don’t have a chance to win any contest. I told myself that we should enjoy the contest and experience the day. 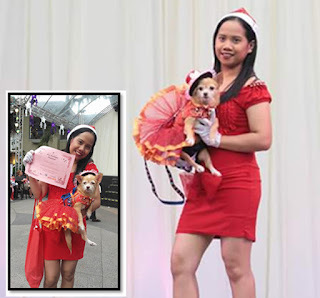 The moment when the contestants were called, I was very nervous because I saw that the other contestants seemed professional and others are popular in pet world. While they were walking, I watched them, saw how do they moved on stage. When it was my turn, I saw the large audience and camera woman around us that made me feel more nervous but excited. I’m smiling like my lips are on ice! While I’m walking with baby Tintin on the stage, I’m worried about her. I want her to be brave and not scared of people but Tintin did not disappoint me. We walked on the stage and posed. After the show, it was awarding time. We didn’t expect to be called because we’re not yet prepared. But I was shocked when our name was announced that we are best in Christmas Costume Theme. We didn’t expect that we will win any award. Until now, I can’t get over it and I still want to thank them for the experience and award because they appreciate our costumes.